Kaizer Chiefs and Orlando Pirates have been joined by another one of their PSL rivals regarding interest in a top Zambian striker. 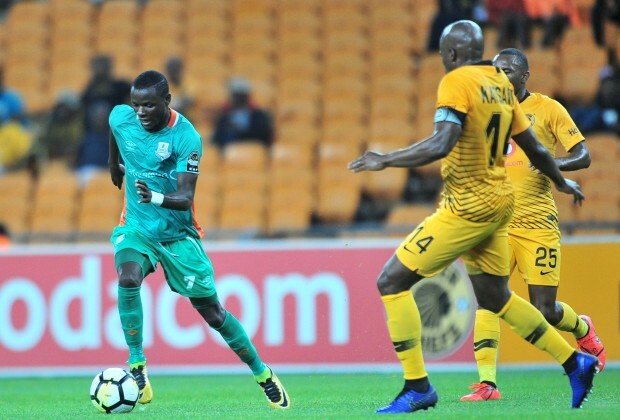 Lazarous Kambole, who has emerged as hot property again as the 2018/19 season is nearing the end, could be finally set for a move to the PSL in the next the transfer window. Kaizer Chiefs, Orlando Pirates and Mamelodi Sundowns have all been linked to the 25-year-old forward, however, an indication from Siya sources is that the so-called Big Three have now been joined by AmaZulu in their interest in the Zambian marksman, as reported in edition 1117 of Soccer Laduma. According to sources, AmaZulu have earmarked Kambole as a potential replacement for Argentinean forward Emiliano Tade, who left the KwaZulu-Natal outfit for Sundowns in January. “AmaZulu are interested in adding Kambole to their team for next season. The club has identified Kambole as the player to replace Tade in their squad. The plan was for the club to sign Kambole in January already when they knew that Tade would be leaving. But there had been no proper co-operation with the player’s club from Zambia,” said the source. Read: City's Transfer Target Identified, Former Buccaneers To Reunite? “It seems like all they want is a club that will come with the highest offer and make a deal right there. The player wasn’t allowed to even come to AmaZulu for the club to first have a look at him. It’s like an auction, the way they want things done,” the source added. Kambole is currently on the books of Zesco United in his country’s top tier. @thapelomahomane how can Jele afford to drive a Lexus that cost nearly R1M if he earn that kind of money at pirates,mxm stop smoking your socks before you come here and comment..
Nedbank Cup semi-finals date, venues and times have been confirmed.